Malta, being the Roman Catholic country that it is, has never been big on celebrating Halloween. However, this predominantly American holiday is growing in popularity in our islands as the years go by, and is enjoyed by children and adults alike. What’s stopping you from dressing up as your favourite Maltese personalities? From La Vallette to your mother-in-law, the choices are truly endless. Some good couple costume ideas are the Maltese Flag, the Azure Window (R.I.P), and possibly twistees and kinnie. Extra points for dressing up as pastizzi. So once you’ve decided on your costume, it’s time to show everyone what a truly Malta-loving trick or treater you are. Major areas to hit may be Sliema, St. Julians and Swieqi area, where lots of children and teens alike attempt trick or treating. Whether you trick or receive a treat, it’s great fun! What’s better than movie theatre popcorn, candy, and a screamer? Go to the Eden Cinemas on halloween night- there are many horror movies out right now, as tis’ the season to be absolutely terrified! From Stephen King’s “IT” to the notoriously creepy “Mother” (not even Jennifer Lawrence can make this film less horrifying), the seat jumping in guaranteed. These are a no-brainer (get it? ); they are so simple to make! 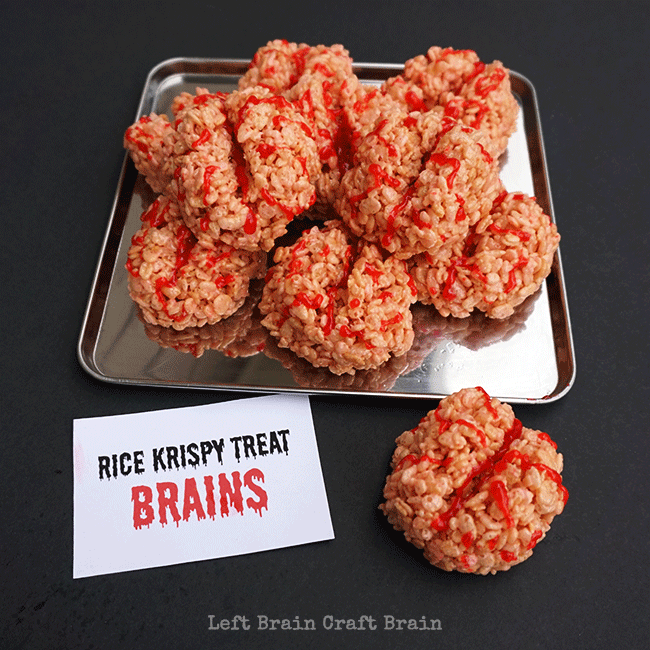 All you will need is 6 cups of Rice Krispies Cereal, red food colouring, red gel icing some cooking spray, 3 tablespoons of butter and a bag of mini marshmallows. Melt the butter, add marshmallows and heat until melted, adding the red food colouring as you stir. Add the cereal and stir into the gooey mush, and once all cereals are evenly coated, spray hands with cooking spray and shape the cereal mush into tiny little brains. Add icing gel for decoration!